Gorey whiskered muzzles nosed deep , tasted blood and chewed . 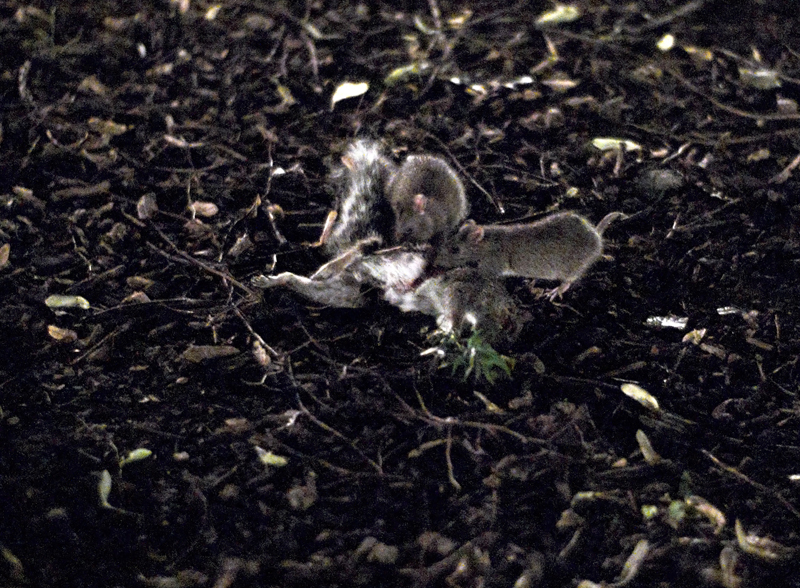 Bloodied teeth ripped flesh and bloodied rat hands tugged at guts picking apart the corpse. 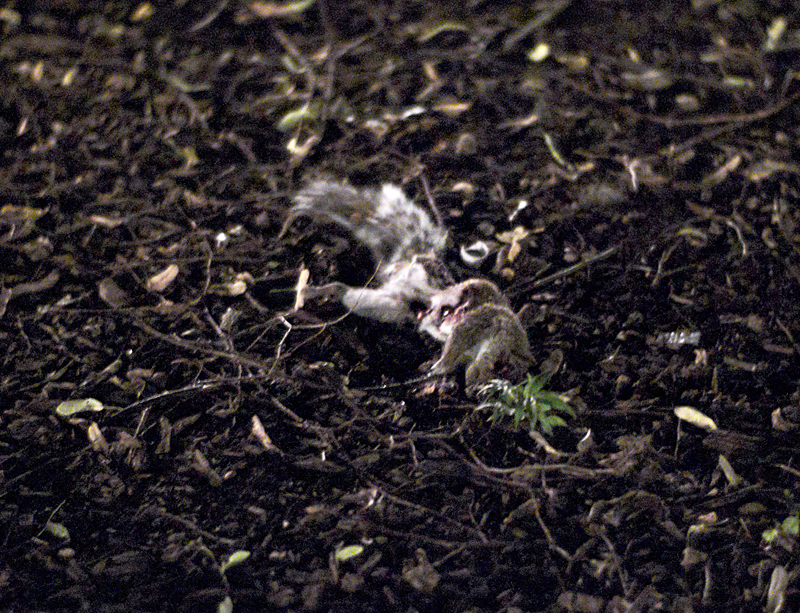 Several rats , at times sharing ,at times fighting , consumed a squirrel under a Linden tree in Tompkins Square Park .The squirrel's demise? Who knows . Perhaps the rats mobbed the squirrel when it attempted to climb their tree. 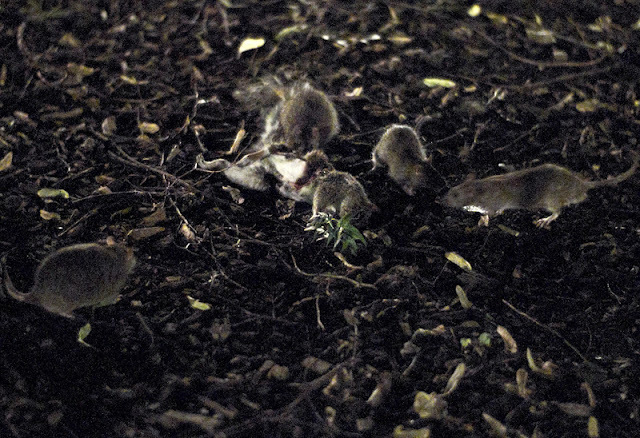 An all you can eat squirrel buffet! Is this what the foodies mean by "from farm to table"? 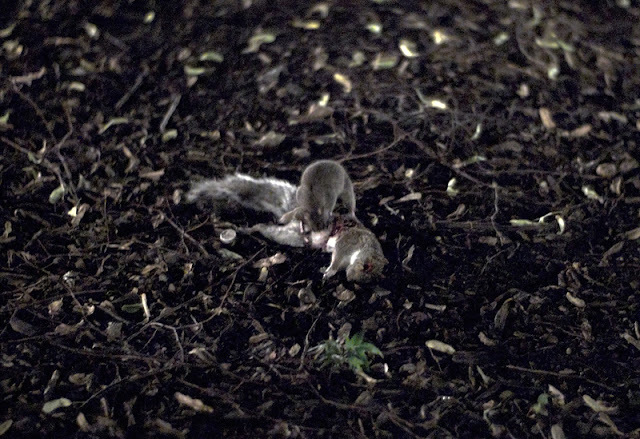 Yeah Marty and the one squirrel fed half a dozen rats. Well, not quite Grieve . Its more like eaten' it on-the-hoof while its still warm ...really fresh you know! How wererats and zombie squirrels are made... Spooky.